Searching for Guess the Shadow game answers, helps, Cheats, tricks, tips and solutions? The game is made by Gabriel Silviu Stefan for iPhone, iPad, iPod touch that available on iTunes with title Guess the Shadow! ~ Pop Culture Quiz and Taps Arena for android that available on Google Play with title guess the Shadow! ~ Logo Quiz. If you got stuck on a particular stage of a level please find here your level answers from below to solve this difficult stage. If you like to check your recognizing power by guess characters on their silhouette forms, then Guess the Shadow! ~ Pop Culture Quiz for iOS or Shadow! 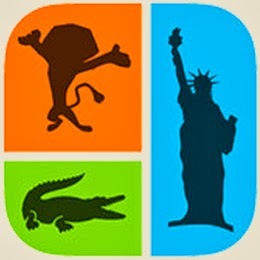 ~ Logo Quiz for android is perfect for you. This game will challenge you by show characters from TV, movie or brands while your only hint is their shadow shapes.